No matter how much you study theory, someone will always find a way to get out of your opening knowledge against you in a tournament game. How you handle those positions will largely determine the outcome of the game, not the fact that you had read an entire book in preparation for the match. 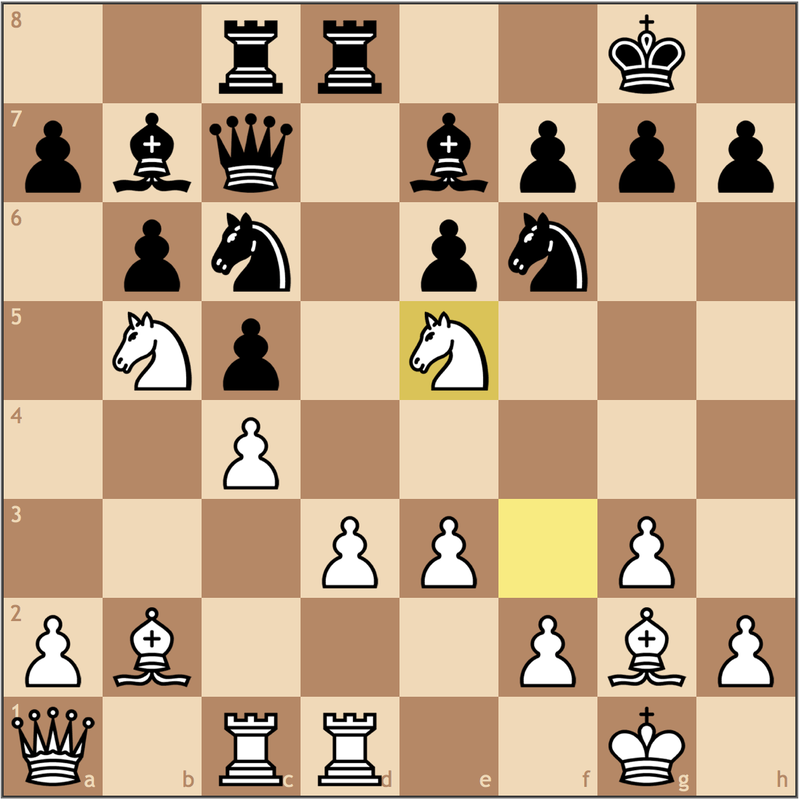 While some club players may disagree, when your opponent chooses to go out of “book”, he is not necessarily making a mistake, but rather making a less battle tested move. As the player, its your job to figure out why. Let’s look at some games where I was put in this situation. For me at least, this is where my opening knowledge ends – even though the game is still very much in the primitive stages. 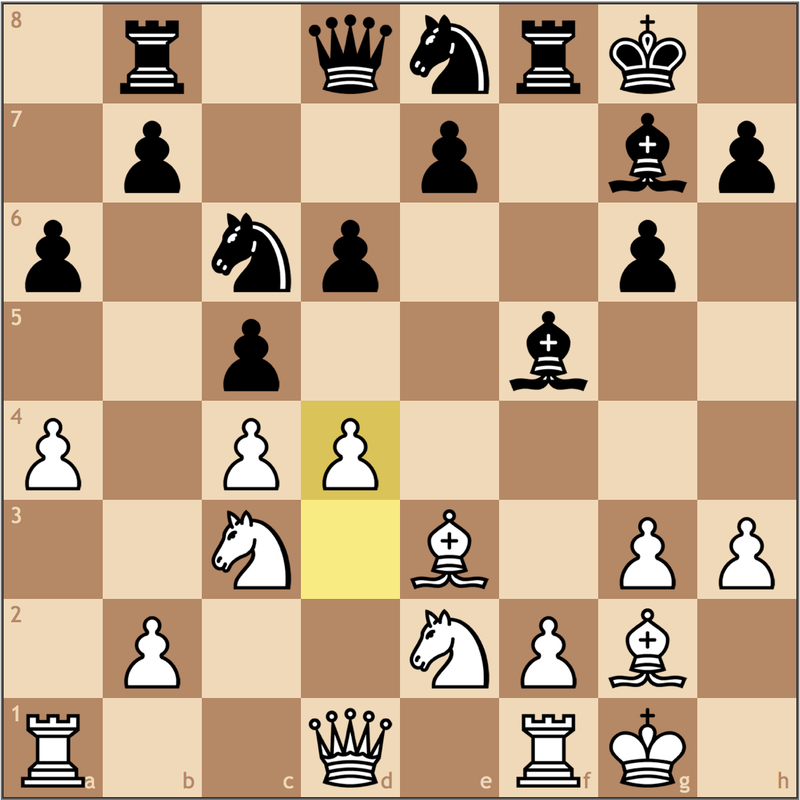 When Black takes early on c4, he usually wants to immediately follow with …Qd8-d3. 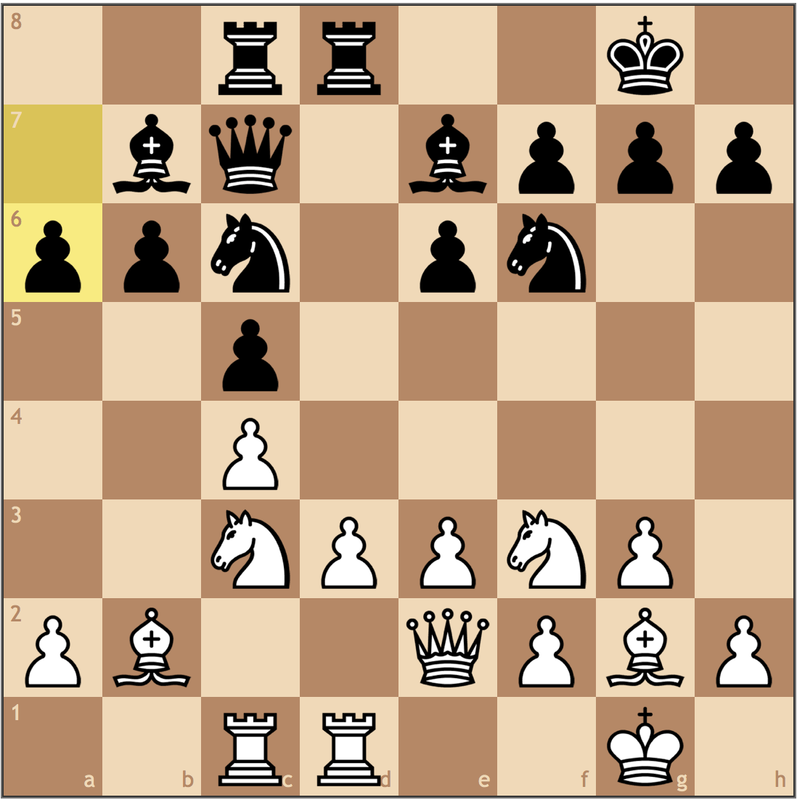 By not making this move, Black is confined to a little more passive play. The opening is finished, and even though Black deviated from theory, its not clear how White has benefited from that. 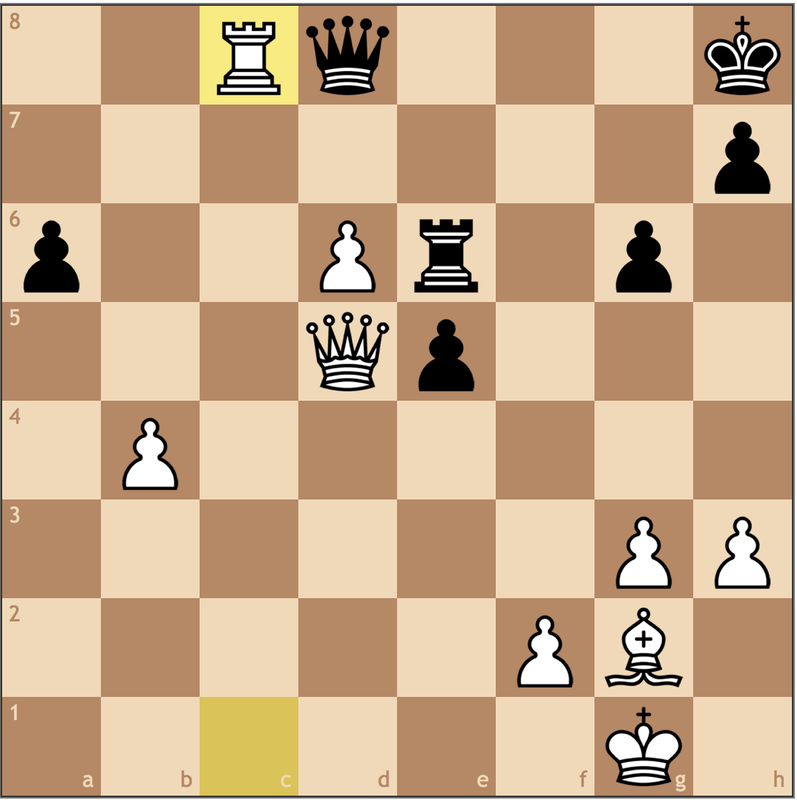 My only advantage is that I have two central pawns compared to Black’s one, but still what is White’s plan? Perhaps “plan” is a little bit too primitive of a word. In chess, we generally equate planning as a means reach a specific goal or creating a weakness. Here I cannot play for an advantage without creating a weakness for myself, so the only “plan” is to improve my pieces. After realizing that 14. d4?! 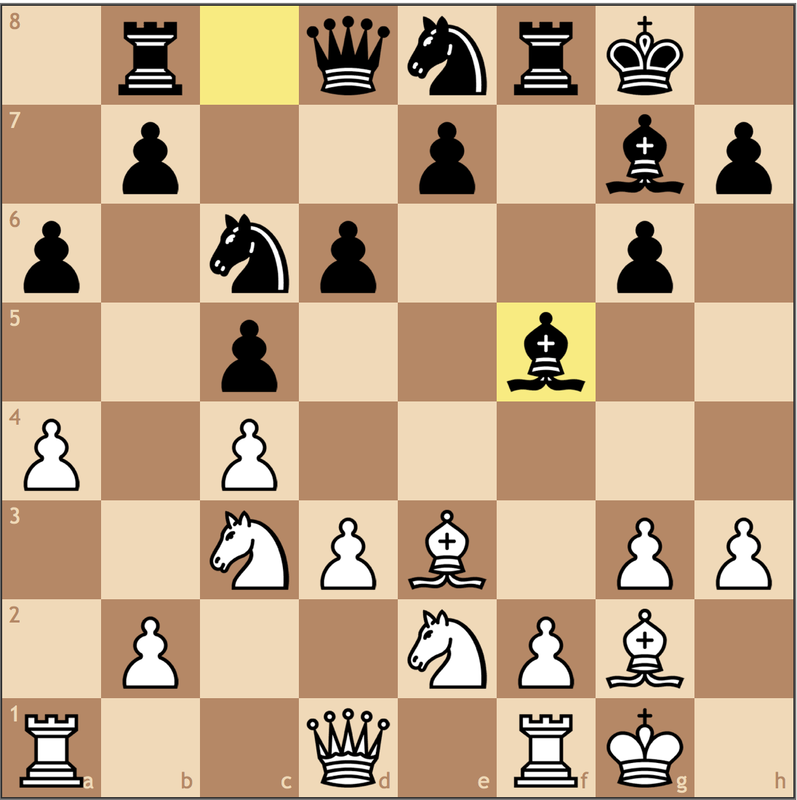 plays into Black’s hands after 14… cxd4 15. exd4 Na5, I came up with this move with the long idea of Qe2-c2-b1-a1, followed by Nc3-b5 and Nf3-e5 with two aims, controlling the long a1-h8 diagonal and provoking a7-a6, making the b6 pawn weak. This is the dream position I thought of after playing d3. Its a lot of moves, but honestly Black doesn’t have a plan of his own. The problem with 9… Be7 was that it was too slow in creating any play, and with my pawn on d3, Black can’t exactly play for the half-open d-file. The position is still equal, but this is a positional mistake for two reasons. 1) b6-b5 isn’t possible, so for now the pawn on b6 is a big weakness as a backwards pawn and 2) the bishop on b7 no longer has the option of going to a6 if I decide to push d3-d4. That being said, my plan changes now too as Black created the weakness I was hoping to provoke. After much deliberation, I decided I needed to play on my half-open file, the b-file. 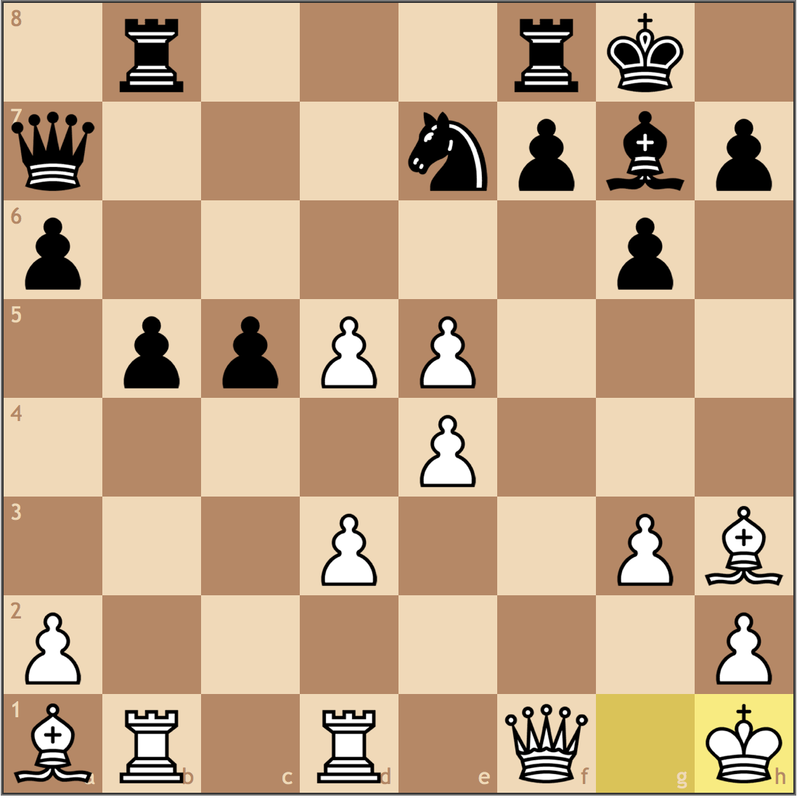 Perhaps not a true brilliancy, but this is the most simple move for me to control the b-file! 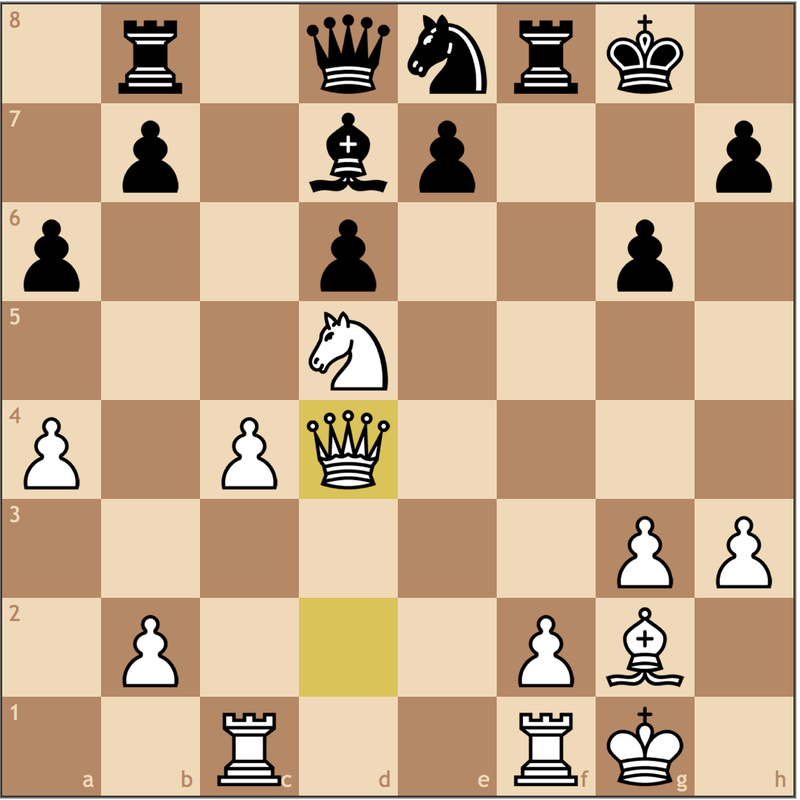 Now my plan is to play Rc1-b1 and Qe2-b2 to attack both the kingside and the b-pawn. This is my dream position now, and even though the position is still technically equal, Black has some questions to answer. Without an ability to effectively push b6-b5 or stake a real claim for the d-file, Black is going to have to find other ways to improve the position. With his counterplay stopped, Black lashes out with this positional blunder. 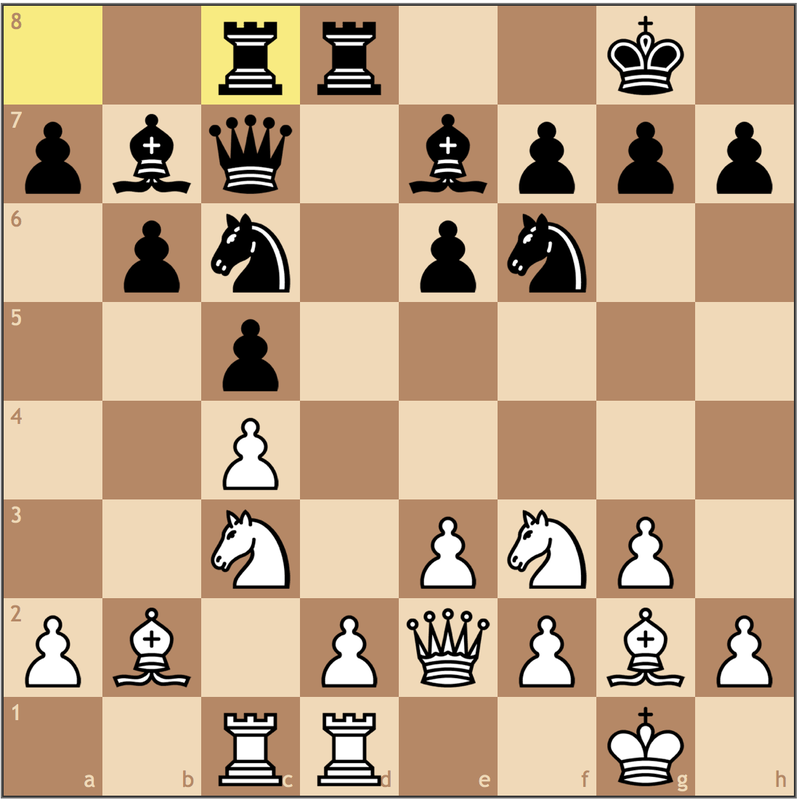 Trying to reach a bind position, Black weakens the d5 square with this move. 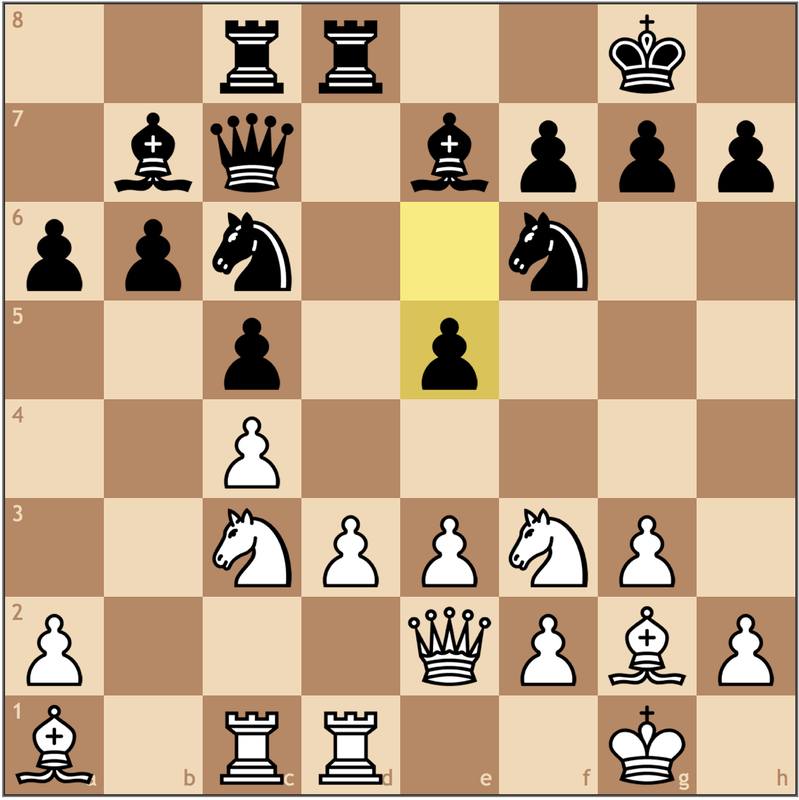 Even with the bishop on b7, Black’s pawns loosen his control over the light squares. With all of the pieces on the board, Black is extremely cramped and strategically lost. The goal is to reroute the knight to e4, where I will have two very pleasant ways to recapture the trade. Nc3xe4 is the most natural, but I preferred the counterintuitive d3xe4 idea! 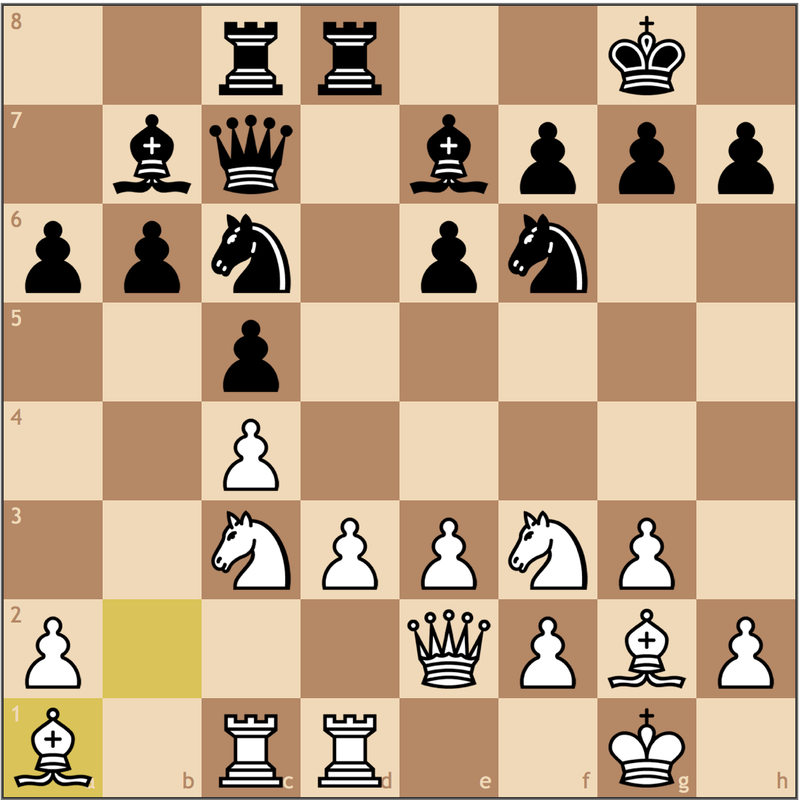 By doing this, my knight can jump to d5, and if traded, I can recapture with a pawn, making it passed. Black trading on e4 would give me a dream position as I control all of the critical squares on the d-file. Even with a bad g2 bishop, my coordination gives me a big central advantage. With a central passed pawn and the bishop pair, I am better in all endgames. Taking advantage of the weak e5 pawn. Now my static advantage becomes a material advantage, giving me enough to play for the win. 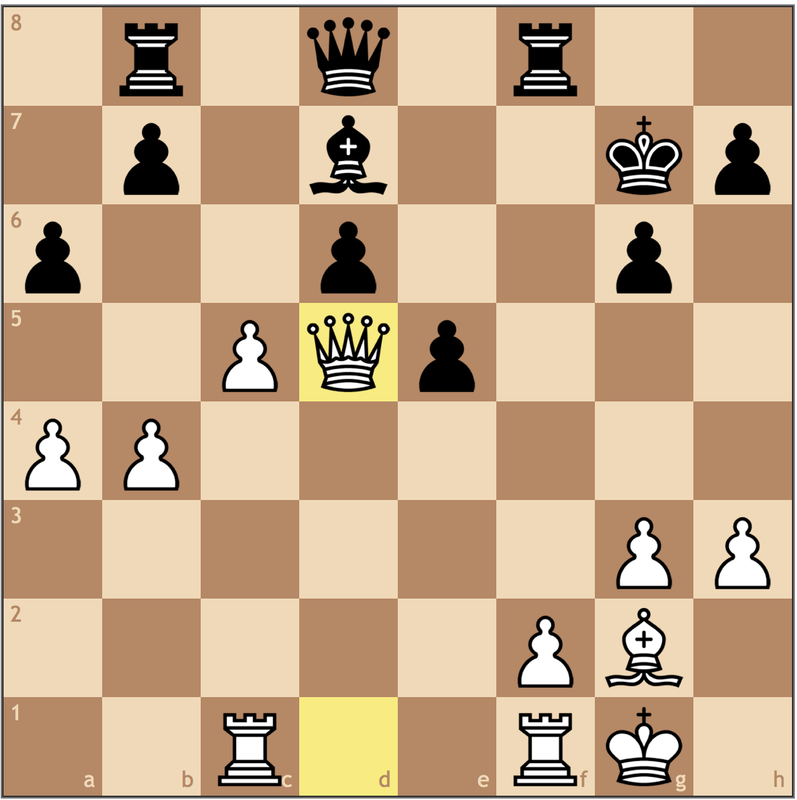 24…Qd7 25.fxe5 Bg7 26.Qf2 Rf8 27.Qf1 b5 28.Bh3 Qa7 29.Kh1 White went on to win on move 41. Getting my king off the same diagonal as Black’s queen. 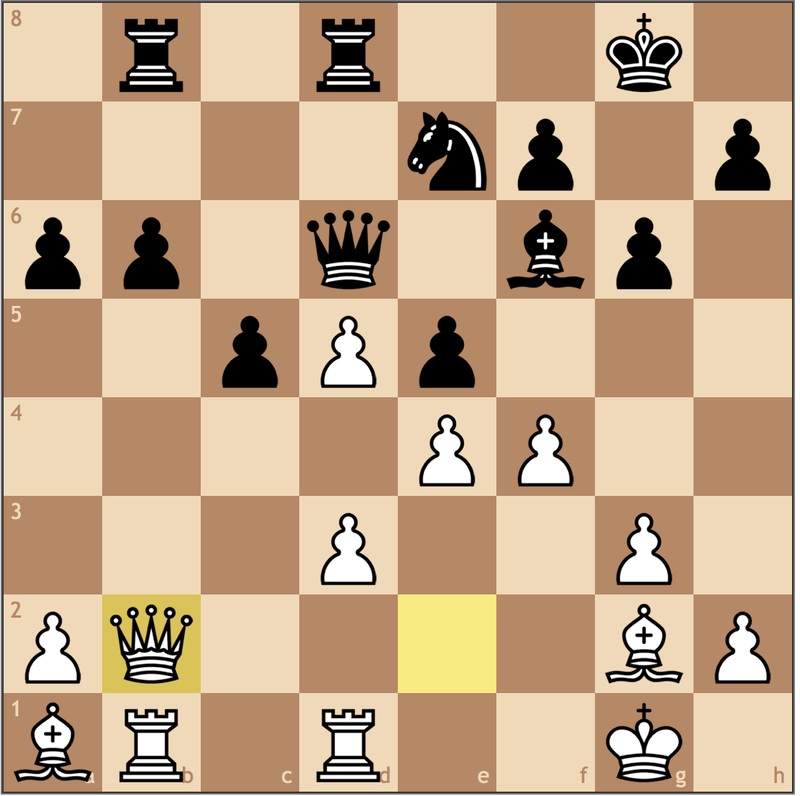 With four strong pawns in the center, the win is technical and a tangent from today’s discussion. This game was instructive, because while Black opted for a less favorable line, he was by no means losing. By playing to improve my own position, Black ran out of active options and grew impatient, creating weaknesses with …a7-a6 and …e6-e5. The next game was from last April’s National High School Chess Championships where after a long day, I needed a win to play for a spot in the top 30 the next day. 1.c4 Nf6 2.g3 g6 3.Bg2 Bg7 4.Nc3 d6 5.d3 c5 6.e4 Nc6 7.Nge2 O-O 8.O-O a6 9.h3 Rb8 10.a4 Ne8 11.Be3 f5 12.exf5 Bxf5? …f7-f5 was already rare, but recapturing with the bishop was definitely foreign to me. 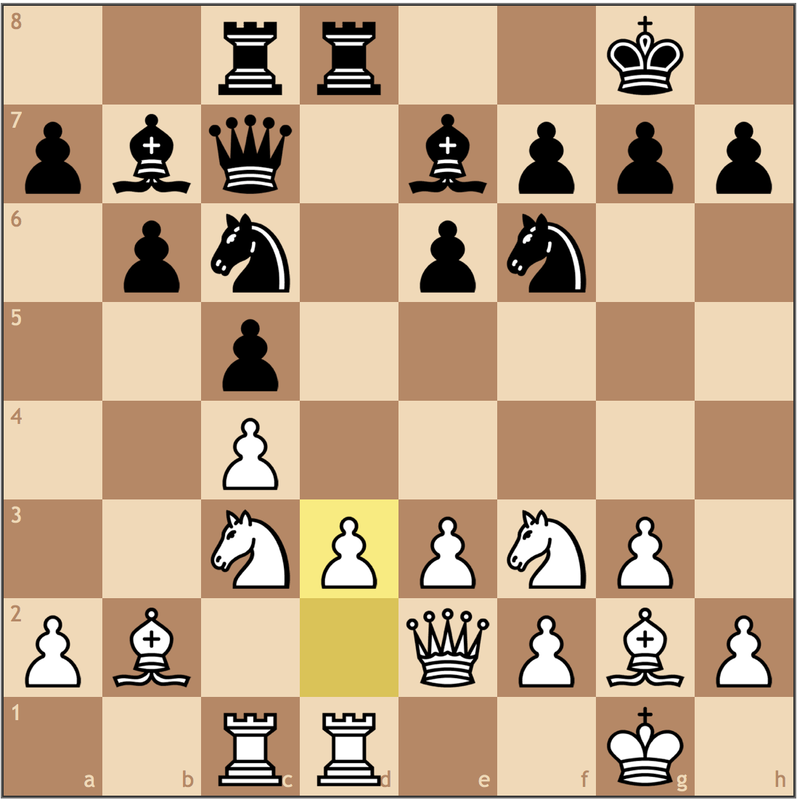 In such positions, Black should recapture with the g-pawn, but honestly the Ne8-c7 idea is much more sound. 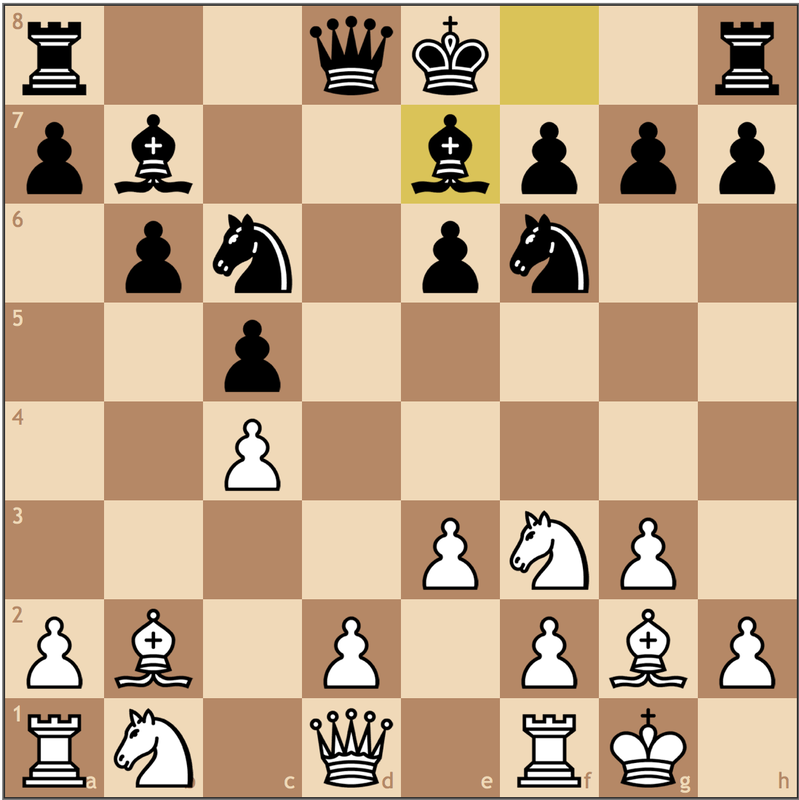 With this move, Black’s center is weakened, but how to exploit? The first par of my plan is to remove my opponent’s stronghold in the center. 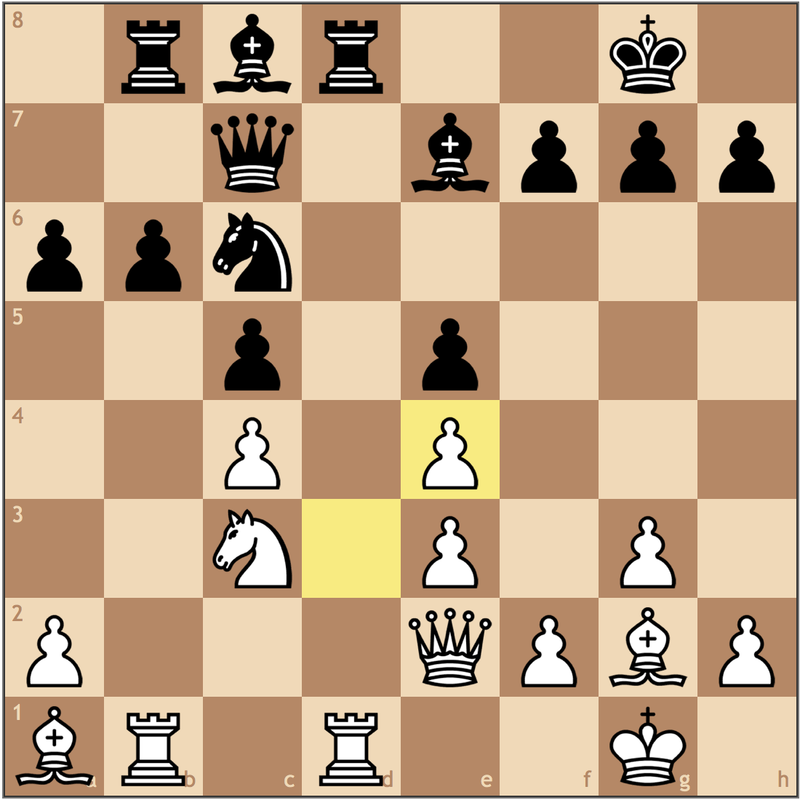 Black’s only way to play is to mount a piece or pawn on d4, so this move removes all possibility of that idea. 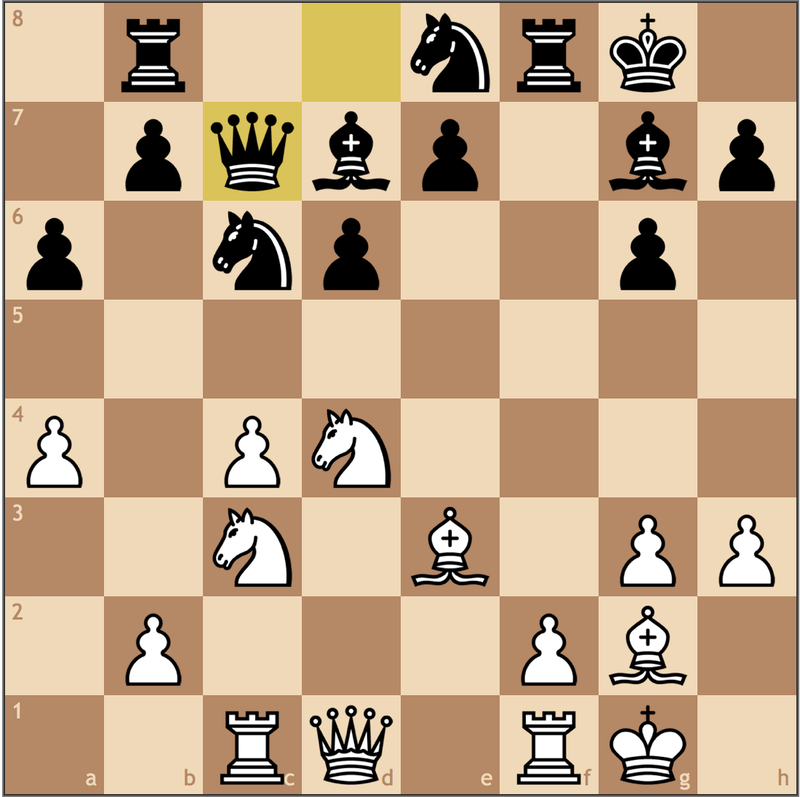 The resulting simplifications favor white because his knight on e8 is out of the fight. 13…cxd4 14.Nxd4 Bd7 15.Rc1 Qc7? Why not …Ne8-c7? 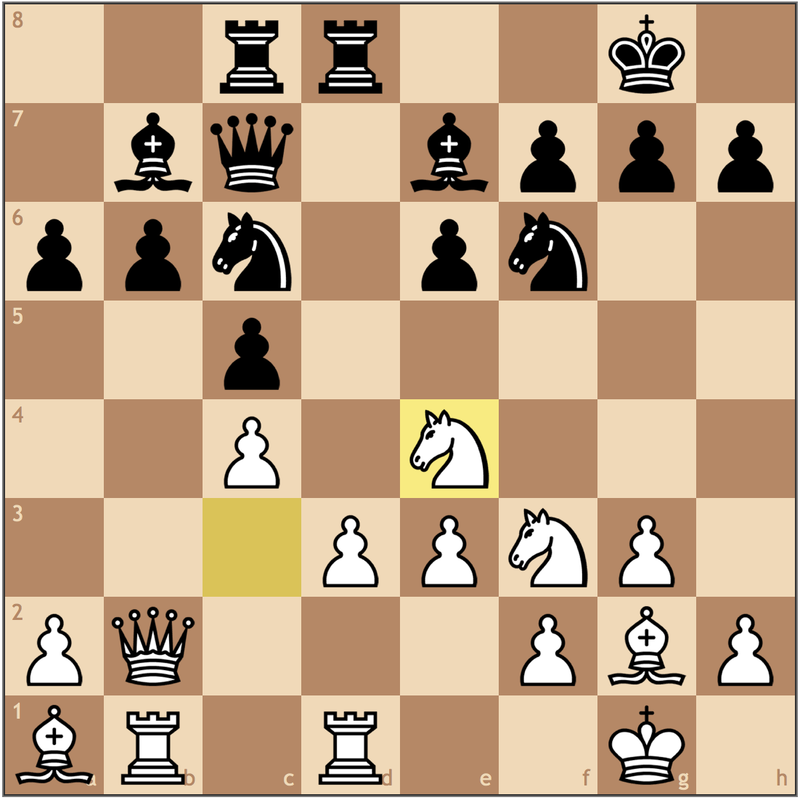 This move loses tempi as after Nd5, the queen must retreat back to d8. 16. Nd5 Qc8? leads to 17. Nxc6+- with the fork threatened on e7. 16… Qa5 isn’t any better because 17. b4 Qd8 gives me space. 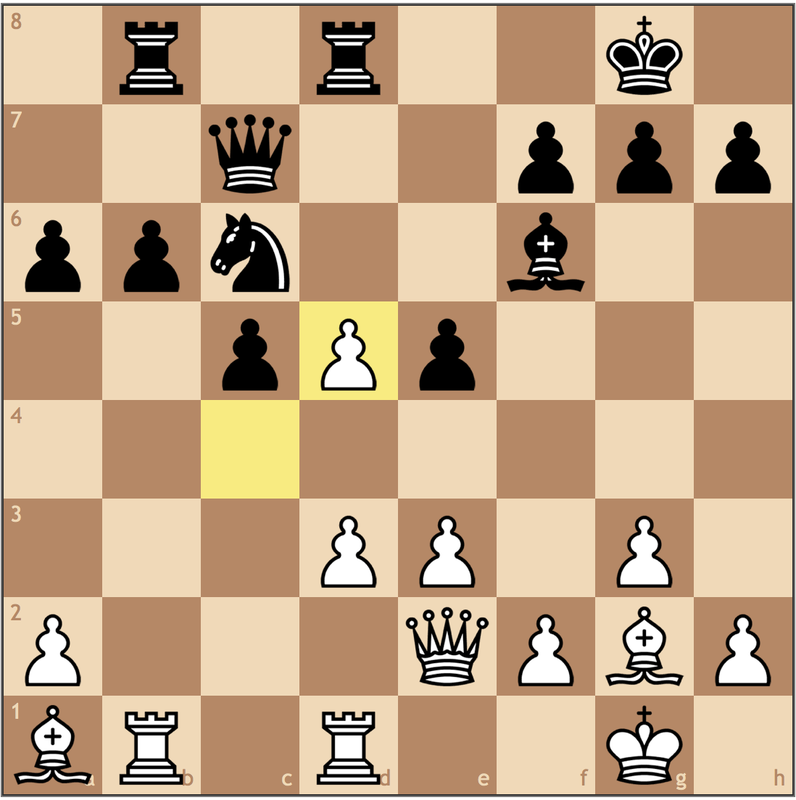 Black can take the pawn on a4, but being so far behind in development, its not the most advisable. After 19… Bxa4 Black has to worry about Rf1-e1, followed by Nd5-b6, and his resulting weaknesses will give me enough compensation for the pawn. This sums up Black’s opening deviations never fought for the center, and with the pawn on e5, Black can never regain control of the d5 square. Black is lost. A simple sacrifice, as now Black cannot stop the promotion. This game was a much easier win than the first game because Black took drastic measures and refused to follow opening principles. However, just like the first game, I was able to take away my opponent’s resources without creating any weaknesses of my own. On a basic level, the main takeaway should be to follow the chess opening principles. When your opponent deviates from your theoretical knowledge, ask yourself if your opponent failed to accomplish one of these goals. If this is not the case, try to pinpoint what your opponent’s plan is, and find creative ways to eliminate the threat! I did think the instruction was helpful however. Thanks for posting! Hey Sam! Glad you liked it, maybe if you beat me I’ll post the game here and we’ll call it even! Hey is there a chance you have a game with the french defense winning? I don’t play the French, but I can look for instructive Grandmaster Games for a future article. I’m open to all suggestions!